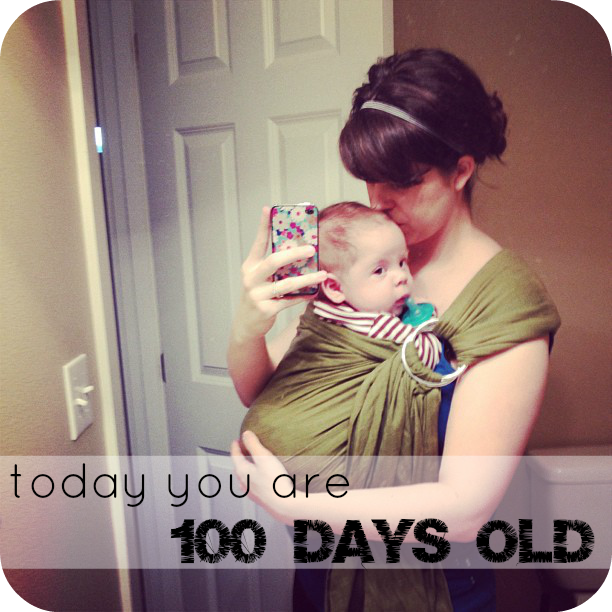 Today, my sweet boy, you are 100 hundred days old. I never thought I would have a boy and now, I can’t imagine my life without one. Without you. Thank you for the greatest 100 hundred days a Mama could ask for. It sounds too simple to say, “I love you”, but those are the most simple and complex words I can think of to share my heart. I love you, Max, I always will. Aww. He's growing so fast! How do you not spend all day kissing and smooshing his cheeks??!! How sweet! You are such a good mama! Happy 100 days to your beautiful little man.